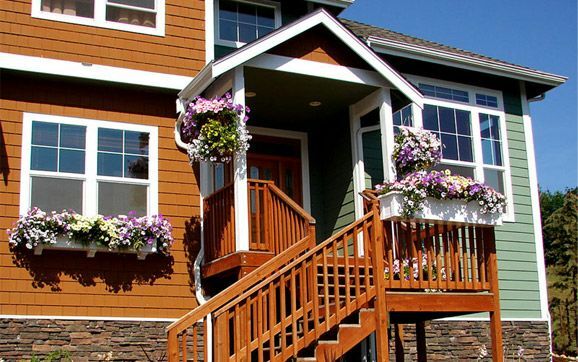 Can do curb appeal begins online at Hooks and Lattice. 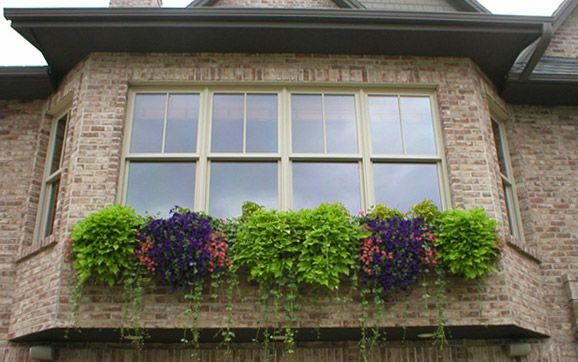 We are a window box, planter and exterior shutter manufacturer, supplier and retailer located in Carlsbad, California just north of San Diego. Since 2001, we have served retail customers and wholesale garden centers nationwide, offering top quality home and garden products that improve both indoor and outdoor living spaces. If you have questions or concerns about our website, or would like more information on adding our products to your next "can do curb appeal" project, please call 800-896-0978. Our dedicated home and garden representatives are available from 7:00am - 5:00pm, Pacific Time, Mon-Fri. Your satisfaction is very important to us! All standard items are returnable for a full refund of the purchase price (outbound shipping charges will not be refunded), provided you contact us within 15 days of the receipt of your item(s). In order to be eligible for return, items must be unused and in the original packaging. Prior to making a return, please call toll free to secure a Return Merchandise Authorization (RMA) from Hooks and Lattice. No refund can be issued without an RMA. Made to Order Items: Items ordered in custom styles, sizes or colors are not returnable. Other items that are non-returnable once they have gone into production or shipped include: iron faux balconies, composite planters, PlanterWell Reservoirs that have chambers linked to each other, worm castings, worm tea and other perishable fertilizer items. Exterior Window Shutters: ONLY ITEMS MARKED AS “QUICK-SHIP” are eligible for return with a 25% re-stocking fee (minimum of $25). All other shutter items are considered a custom size and are not eligible for return. Return Shipping Charges: Hooks and Lattice will cover shipping costs if the return is a result of our error in packing. In all other instances, customers are responsible for return shipping charges. Damage During Transit: Damage must be reported within 5 days of receipt of the item (calculated according to the carrier tracking number based on date of delivery). We must report carrier damage claims immediately. In the event of damage during shipping, we require photographs of the affected items and any damage to the shipping container. Our carrier also requires that the box damaged in transit be saved and sent back by the customer. If you are unsure whether an item is eligible for return please call us before placing an order. We have agents available from 7:00am - 5:00pm, Pacific Time, Mon - Fri.
To protect our customers, all online transactions paid for via credit card and PayPal are handled with industry-standard SSL encryption. This ensures the highest level of security for all purchases made on the Hooks and Lattice website. We make every effort to ship your order as quickly as possible, usually within 2-3 days if an item is in stock and 2 to 3 weeks if the product is custom made. We ship to the continental US only. Additional fees will apply to ship to Hawaii and Alaska, contact us at 800-896-0978 for details. Our shipping is via UPS FOB San Diego, California. We may collect personal identification information from Users in a variety of ways, including, but not limited to, when Users visit our site, register on the siteplace an ordersubscribe to the newsletter and in connection with other activities, services, features or resources we make available on our Site. Users may be asked for, as appropriate, name, email address, mailing address, phone number, credit card information, Users may, however, visit our Site anonymously. Hooks and Lattice is a WONDERFUL company!!! One of the most important attributes of a good company is SERVICE. My purchase from Hooks and Lattice was so easy and without flaw. Everything about the transaction was terrific! After receiving the merchandise, I had a question and got the email answer within hours. The best part of the sale is the window box I bought is very, very high quality and BEAUTIFUL!! THANK YOU Hooks and Lattice!! I search and evaluate product offerings and availability extensively before I buy. Hooks & Lattice offers a good variety. When I placed my order, it was acknowledged promptly and I received an e-mail notice telling me when it was shipped. It arrived at my house quickly and just in time for installation as part of a weekend project. I am very pleased with the company and the products I purchased. Hooks & Lattice was founded as a manufacturer of wholesale wrought iron products. Today, this family owned business manufactures countless home and garden products. We have expanded to include the Sign Bracket Store, Planters Unlimited, and Artificial Plants Unlimited divisions.